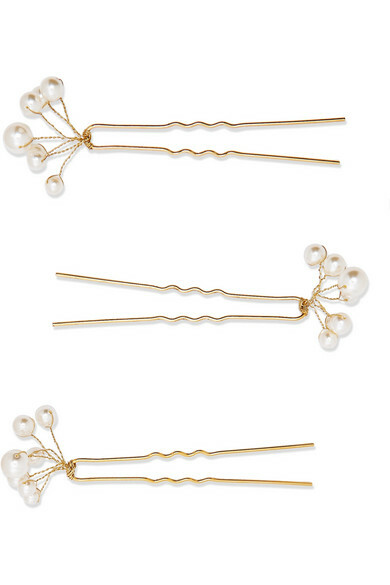 Jennifer Behr's Instagram is such a great source of inspiration for how to wear the label's hair slides - a quick scroll reveals that celebrity hairstylists are nestling theirs in a tousled bun or positioning them just behind the ear. 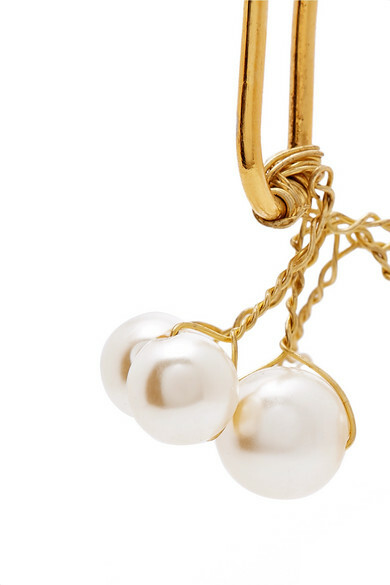 This set of three 'Primavera' pins is handmade from gold-tone brass that's grooved for grip and decorated with small Swarovski pearls. Shown here with: Cult Gaia Dress, Cult Gaia Dress, Sophie Buhai Earrings, Loren Stewart Necklace.